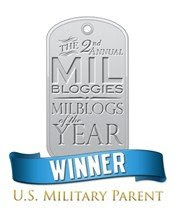 color: SOME SOLDIER'S MOM: Happy! Happy! Joy! Joy! With the northernmost part of the country buried in snow or chilled to the bone, the New York Yankees and Washington Nationals welcome their pitchers and catchers to a new season on Tuesday in Tampa and Viera, Fla., respectively, and then work out on Thursday. The last team standing at the end of the 2006 season is among the seven teams reporting on Wednesday. The World Series champion St. Louis Cardinals, led by ace right-hander Chris Carpenter, begin defense of their title in Jupiter, Fla. Meanwhile, the Florida-based Baltimore Orioles and Philadelphia Phillies also report on Wednesday, while the Chicago Cubs, Los Angeles Angels of Anaheim, Seattle Mariners and San Francisco Giants get the jump on the 12 Arizona-based teams with Thursday workouts. God's affirmation to me that life is good... life goes on. I don't have a crystal ball, but I see Spring Training baseball games in my future! Life is good SSM. Always look for the future. It's called HOPE. Well this is all well and good (Go Mariners!) 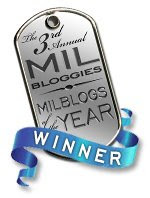 but have you seen who is nominated for Best Milblog? You are in the Top Ten...so far...come on guys let's move her up that list!